The Florida business law attorneys at Di Pietro Partners, LLP regularly represent clients in matters of complex business litigation. Several of these matters include, but are not limited to: enforcement of non-compete clauses, general litigation, breach of fiduciary duty, substantive law issues, professional liability cases, financial and investment litigation, commercial torts, securities fraud, Racketeer Influenced and Corrupt Organizations Act (RICO) violations, and many other statutory causes of action. Effective Florida litigation requires extensive research and preparation to ensure the best possible representation of our clients and the best possible resolution of litigation matters. Di Pietro Partners, LLP are AV Preeminent® rated trial lawyers with years of court experience. This experience includes representing individuals and businesses in a variety of business related matters in State and Federal Courts. Our Law Firm prides itself on being large enough to handle complex cases, yet, small enough to provide personalized service. Therefore, when working with our firm, you get a prestigious team of dedicated and experienced trial attorneys fighting for you. 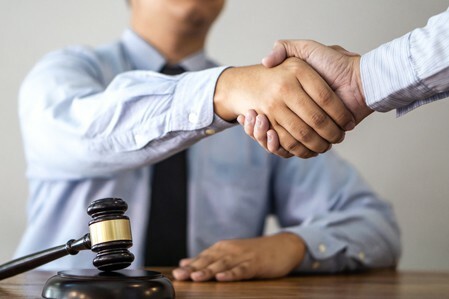 Florida’s commercial litigation law covers a wide variety of business, corporate, and commercial litigation issues that can affect your business in a wide range of circumstances. Commercial litigation can range from property and land disputes to contractual disputes. Di Pietro Partners, LLP is very familiar with the process of commercial disputes in federal, state, and local jurisdictions and the varying business and corporate laws. Contract litigation – Our firm is experienced in contract law. This includes representing individuals and businesses involved in contractual disputes/litigation. Breach of contract – We have experience in successfully representing both sides in breach of contract cases. In other words, our litigation lawyers can defend your company against contract breach claims as well as fight for your rights in litigation. Non-compete agreements – In Florida, non-compete agreements are enforceable. This includes issues involving trade secrets, proprietary information, restrictive covenants, etc. Fraud claims – We represent businesses in fraud cases. This includes false accusations that are harmful toward a company’s reputation. Interference with contractual relations – This is also known as intentional interference or “tortious interference” claims. Shareholder disputes – This includes: derivative actions, shareholder oppressive conduct, disputes among majority vs minority shareholders, etc. Purchase and sale agreements – Disputes over sale & purchase agreements can often be complicated. Various terms and provisions of the agreement/contract may be involved in the dispute. The business litigation attorneys at Di Pietro Partners are located in Ft.Lauderdale, Florida and serve the areas of Broward County, Palm Beach County, and Miami Dade. In addition to the main office, our Law Firm has satellite offices located in West Palm Beach, and Miami that are available by appointment only.